It was the second edition of Syme’s guide that accompanied Charles Darwin on his 1831 voyage aboard the HMS Beagle, where he “used it to catalogue the flora and fauna that later inspired his theory of natural selection,” as historian Daniel Lewis writes at Smithsonian. In recognition of Werner and Syme’s contribution to color nomenclature, Smithsonian Books recently republished the 1814 edition of their guide, and the revised 1821 edition has been available for some time as scans at the Internet Archive. 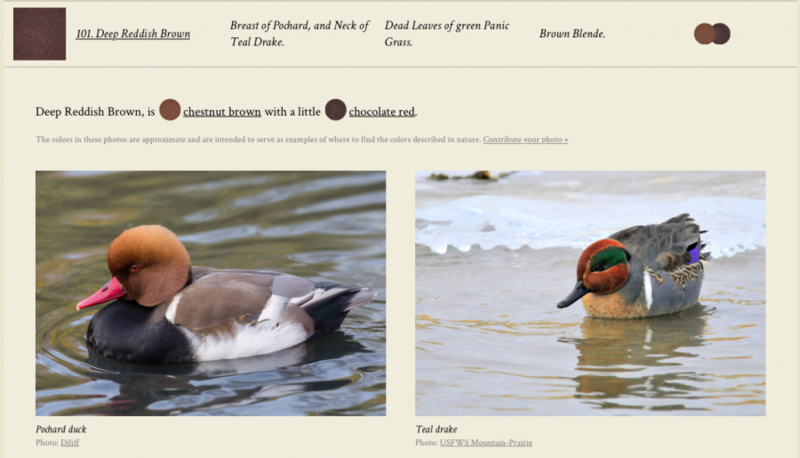 Now it has received a 21st update thanks to designer Nicholas Rougeux, who has created an online interactive version of the book, “with additions like data visualizations of its 100 colors and internet-sourced photographs of the animals and minerals that the book references”—a feature its creators could never have dreamed of. 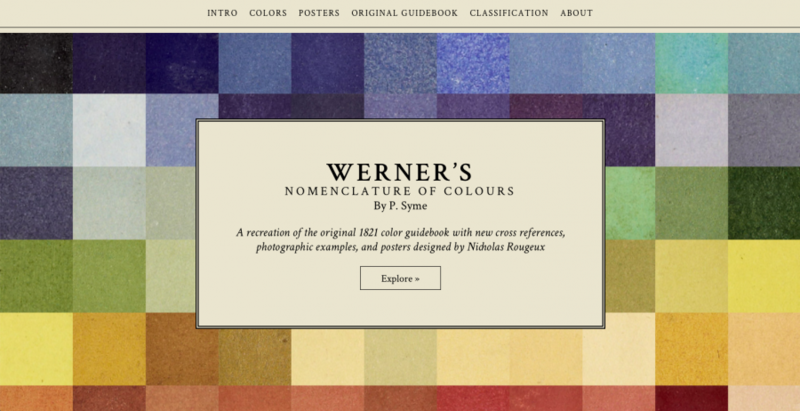 You can read Werner’s complete text, see all of the colors as illustrated and categorized by Syme, and even purchase through Rougeux’s site cool 36” x 24” posters like that above, starting at $27.80. 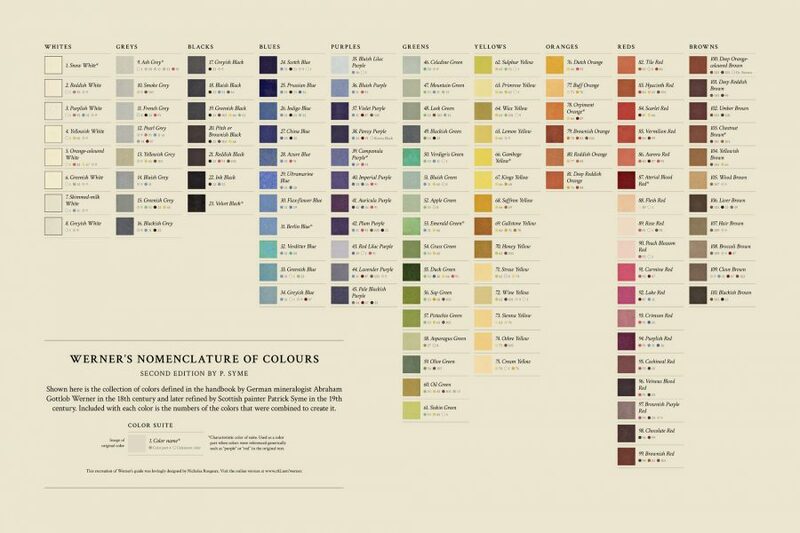 Explore an Interactive, Online Version of <i>Werner’s Nomenclature of Colours</i>, a 200-Year-Old Guide to the Colors of the Natural World is a post from: Open Culture. Follow us on Facebook, Twitter, and Google Plus, or get our Daily Email. And don’t miss our big collections of Free Online Courses, Free Online Movies, Free eBooks, Free Audio Books, Free Foreign Language Lessons, and MOOCs.